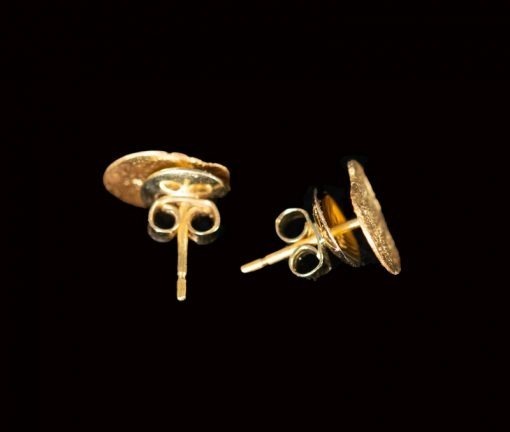 Home / Small Treasures / Gold Earrings / 22ct gold randomly shaped flakes on post earrings. 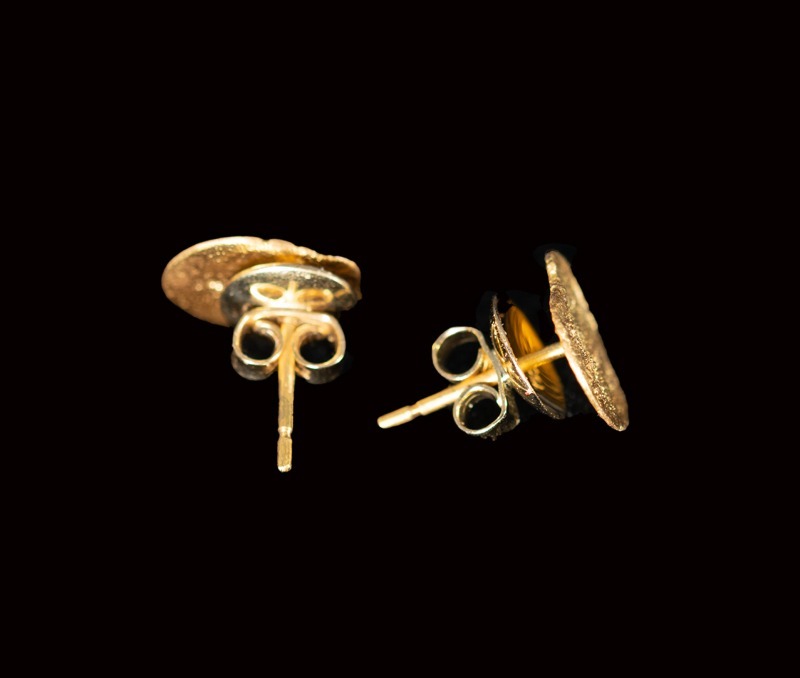 22ct gold randomly shaped flakes on post earrings. A second pair of round melted flake earrings. Of a collection of melted flakes these two were close enough in shape and size to make an interesting and completely unique pair of earrings. 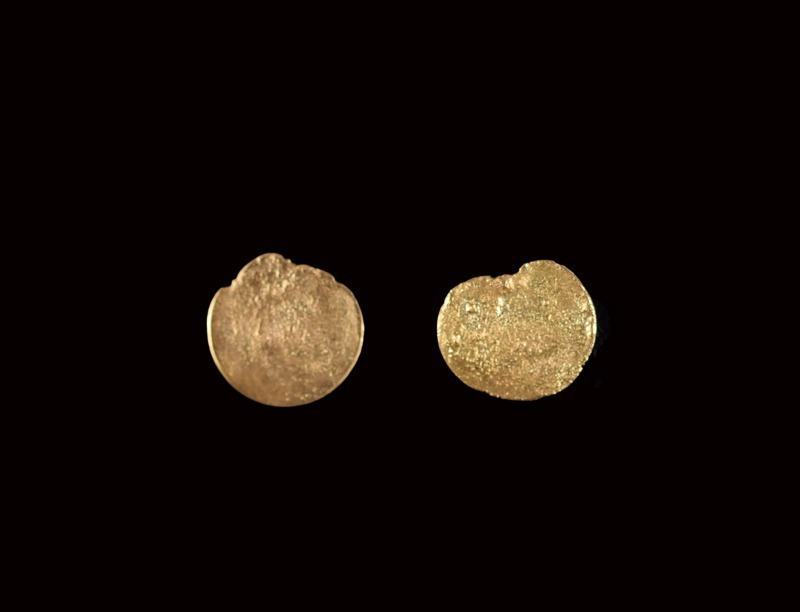 The earrings are on posts and measure approximately 1cm across.